worker and male only (see Bolton, 1995, where type location given as Ethiopia) . 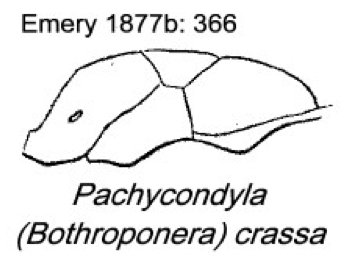 Emery's (1877b) description is at . 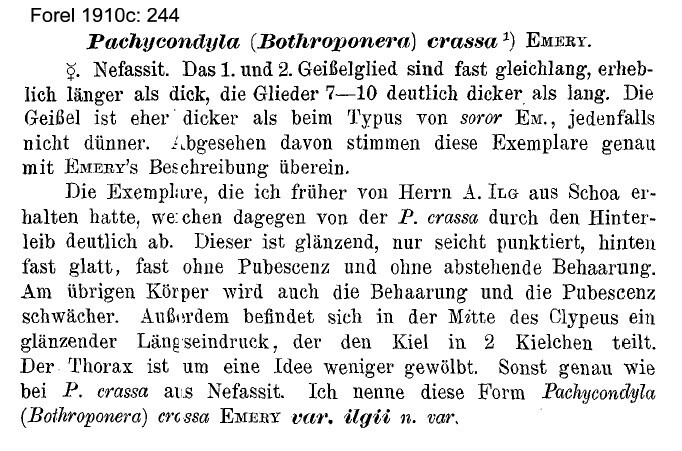 Forel's (1910c) description of ilgii is at . 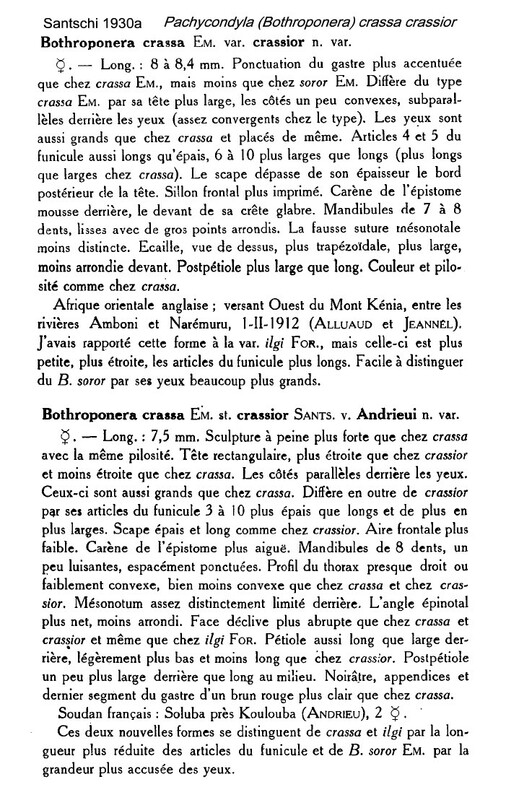 Santschi's (1930a: 54) descriptions of crassior and v andrieui is at . 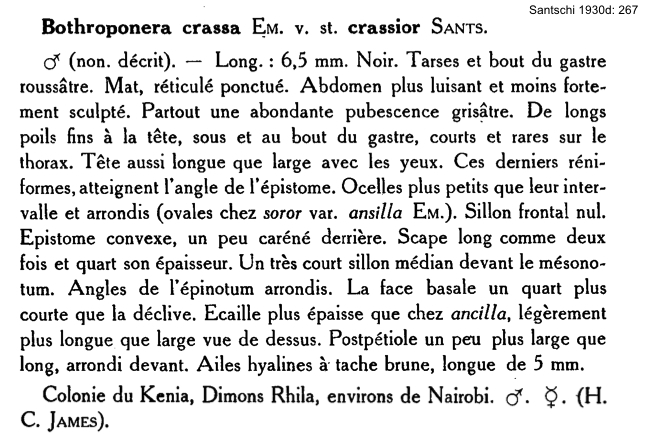 Santschi's (1930d) descriptions of the crassior male is at . 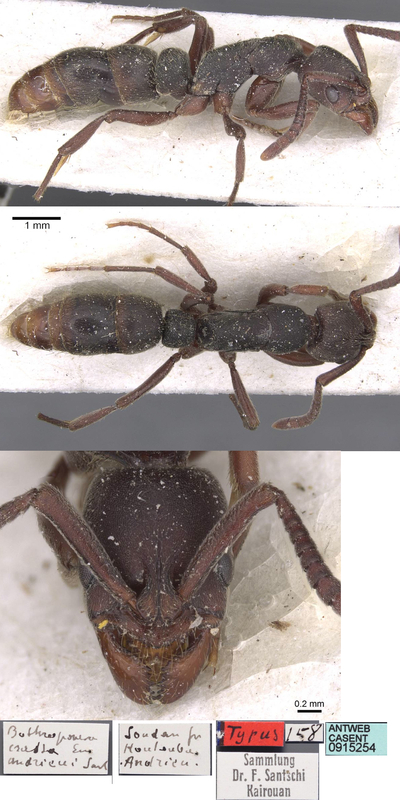 WORKER - TL 7-7.5 mm; head subrectangular; clypeus feebly sinuate in middle; mandibles finely striate; eyes well developed; overall subopaque or shining. 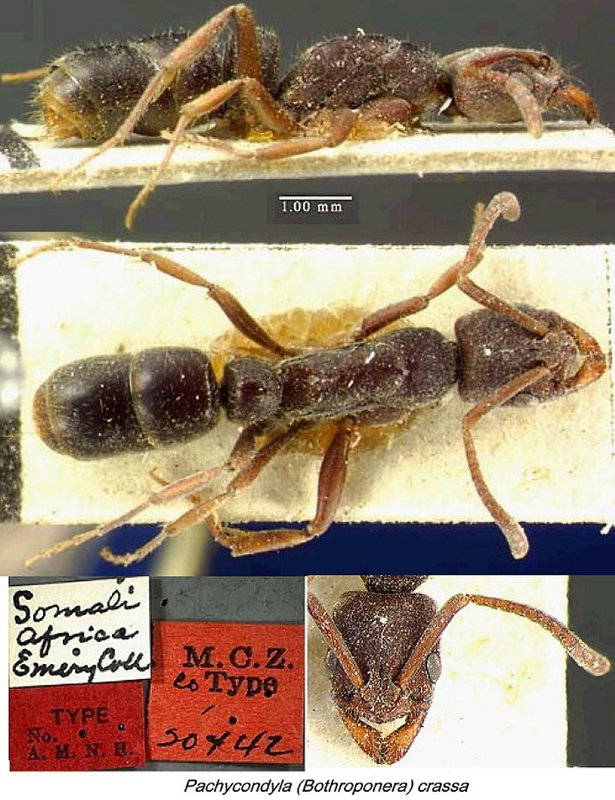 Bernard (1952) gave findings at Mount Tô (Camp I), Guinea, 4 workers. He noted that it is common north of the Equator, especially in Erythrea and Sudan, but absent south of Congo. 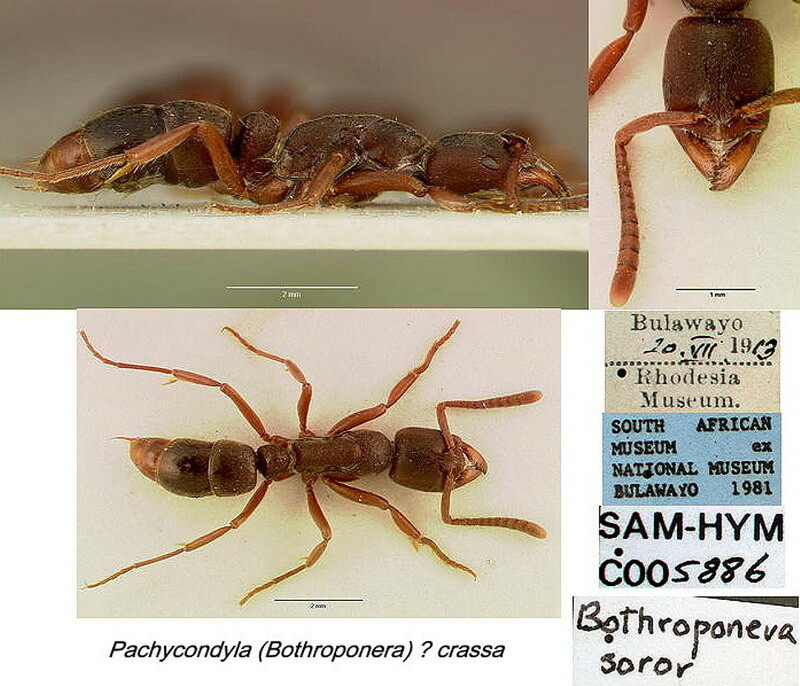 His specimens, TL 7 mm, were somewhat different from the type, in being more shiny, with bronze reflections, and the abdomen with denser yellow hairs. The photomontage right of a cotype is collated from the MCZ website; collector Beccari, from Bogor, in Emery (1892a: 111). The photomontage is of a worker from Senegal; Bansifoukha; collector B Ndiaye.